We have another guest post today from Caitlin Casey, a McCue Postdoctoral Fellow at UC Irvine who studies galaxy formation and evolution, including discovering and characterizing diverse types of starburst galaxies and how they relate to more "normal" spiral galaxies in the early Universe. Caitlin recently cowrote, along with Kartik Sheth, a NatureJobs article entitled The Ethical Gray Zone, based on an extensive community poll on ethics and diversity. She is also involved in STEM outreach and mentoring within her department and throughout astronomy. After reading this pretty excellent article on Slate about how to 'look the part' of computer genius (long story short, being an Asian male is pretty helpful), I thought a lot about how the notion of privilege affects STEM research. Privilege itself is a term that carries a lot of stigma and even vile hatred for some, as if there's an implied prejudice or blame that comes with it. Many folks aren't comfortable with the idea that they have special rights or advantages (or even immunities) based on their physical appearance or life choices, and that these advantages pervade all aspects of life: even, *gasp* their research and work environment. Do you know what benefits this card carries? Whenever I point friends or vague internet acquaintances to Peggy McIntosh's white privilege essay or similar compilations for other group privileges (e.g. for male privilege, female privilege, class privilege, physical ability privilege, religious privilege, heterosexual privilege, etc.) someone usually pipes up and shouts "prejudice!" or sometimes "stereotype!" They then argue that discussing privileges provides re-enforcement and makes stereotypes even more harmful. Let's get something straight. Discussing privilege is not aggravating prejudice. 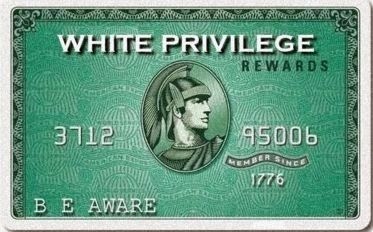 Just because I acknowledge that white people (particularly in the US) have intrinsic advantages in today's society doesn't mean I am accusing all white people of having a cushy, unchallenging life, nor do I claim that their African American counterparts are all disadvantaged. Instead, I'm acknowledging that harmful stereotypes, even those that are outdated, cause pervasive and often unconscious inequities. As this cartoon explains so well, discussing privilege and actively stereotyping are two very different things. Privilege is a fact. It's not an insult or a burden. Stereotyping is the act of re-enforcing prejudice in a way which strengthens privilege. While most of us want to live in a happy, healthy, equitable world where we live and work in diverse and cultured surroundings (e.g. blind to skin color), the only way we can get there is to talk. Talk about privilege. Ok, so what does privilege have to do with my work on galaxy evolution or your work on planet hunting or Joe's work on cosmology? That's a valid question. Some of you might be thinking, for example, that Peggy McIntosh's essay is outdated, since, afterall, it was written in 1988. 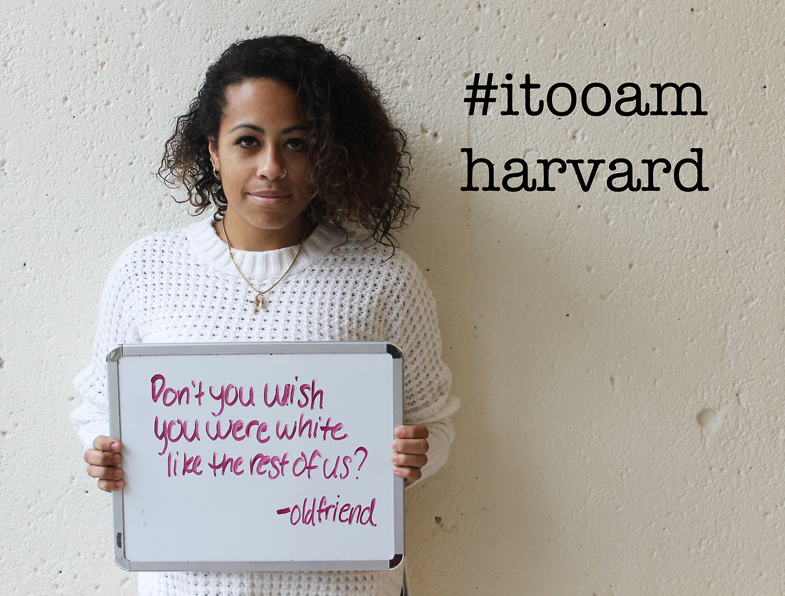 If you do think it's outdated, please check out this poignant collection of race-based micro-aggressions from current 1014 black Harvard students. Even if you don't think it's outdated, then you might ask, "what do the appearance of financial responsibility, cultural background, or racial representation in pop-culture have to do with racial discrimination in STEM fields?" And so that brings me to the astronomer privilege checklist (or more generally, the STEM researcher privilege checklist). These are privileges I've thought up and mulled over with many colleagues that might apply to you if you're an astronomer who belongs to the largest STEM researcher majority group: you're a heterosexual white man. Now hear me out, especially if you, yourself belong to this group. Know that these are not insults. I'm not vilifying you or trying to antagonize you, but I'm just trying to point out aspects of your research life that might be easier because of your identity. I benefit from some of them since I'm white. John benefits from some others since he's a man. Everyone I know benefits from some of these privileges in one form or another. Those privileges are built from a cultural construct that dictates that scientists should probably look and act like the guys on Big Bang Theory. 1. I see that most, if not all, of the leaders in my field look like me. 2. As a child, and throughout my education, my interest in science was probably fostered by my parents and my teachers. 3. If I receive a bad referee report back on a paper I wrote, I can be pretty sure that my gender, race or sexual orientation had nothing to do with it. 4. If I fail to get a job offer, I can feel confident that that failure won't be seen as typical of failures of my entire gender's/race's/sexual orientation's capabilities. 5. I can be sure that if I'm not invited out to beer with my colleagues, it has nothing to do with my gender, race, or sexual orientation. 6. I probably don't have to worry about being hit on by a colleague at work, or if I do, it's unlikely that colleague will have a position of power over me. Similarly, I don't have to worry about dealing with the professional repercussions which might result if I decline or accept his/her advances. 7. When socializing with my colleagues, I feel confident that they enjoy my company because of my personality and they don't have any ulterior motives. 8. I feel safe leaving my office late at night. 9. Students can usually automatically identify me as their instructor after walking into a lecture hall even though it might be the first time I've lectured. 10. 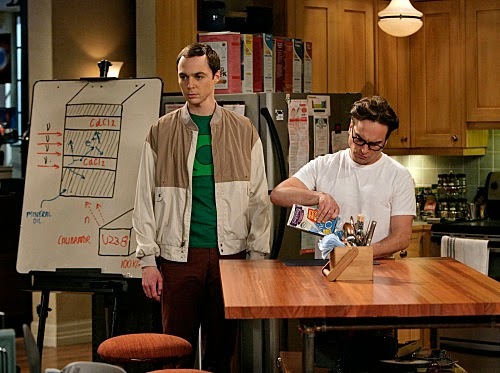 If I choose to have children, I'm pretty sure that my colleagues won't expect it to disrupt by scientific productivity. They will continue to keep in touch with me on new, exciting avenues of research. 11. If I am awarded a job or fellowship, I'm pretty sure people won't think I got it because I belong to an under-represented group. 12. If I'm making small talk with a stranger and they ask me what my profession is, they aren't surprised to hear that I'm a scientist. 13. I can come to work dressed up and my colleagues might ask if I have an interview or if it's a special occasion, but they probably won't remark about how lovely or attractive I am. 14. Colleagues never make assumptions as to the socioeconomic background of my family because of my race. 15. If I come to work looking disheveled or if I have bad posture, my colleagues probably don't think I'm any less mature or capable of doing my job. This list isn't by any means exhaustive, complete, or necessarily accurate on an individual basis, but it should give you a better idea of how the "privilege" discussion directly relates to ongoing discussions of diversity in our field and the need to make our workplace environments more equitable and inclusive. If you still struggle to understand where some of these come from and what they mean, then let me give you a funny anecdote to privilege #9. Shortly after I received my PhD (when I was a bright-eyed, 20-something female), I was invited to go give a public cosmology lecture at a large university. The audience was a mix of undergraduate students and members of the community. When I walked in the door a few minutes early, one of the organizers asked me to sign the attendance sheet if I was there for the extra credit. Needless to say he was a bit shocked when I responded, "No, not quite, I'm here to give the lecture. Where do I set up?"